I thought I would make a list of good hiking related movies. I tried to link all of the movies back to IMDB. 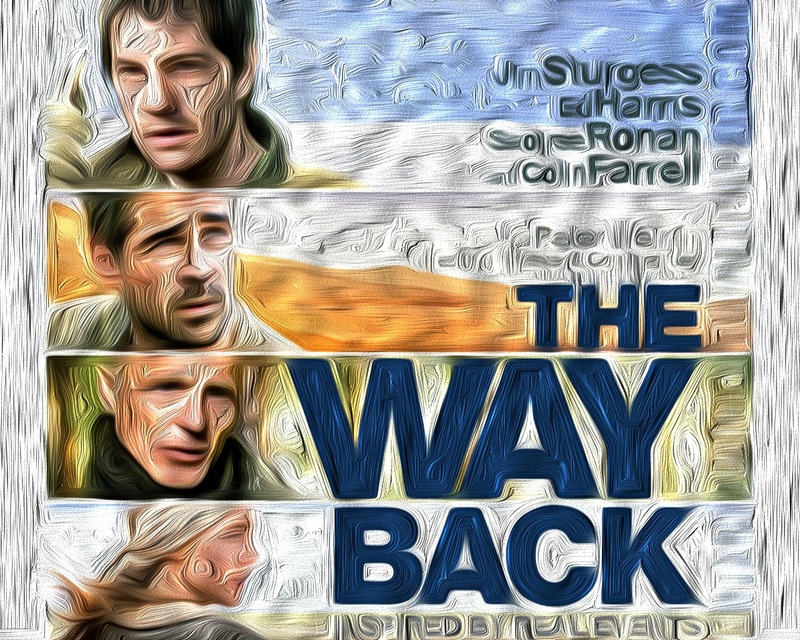 The Way Back and The Road are two of my all time favorite movies in any genre. If you think of a good movie that I missed, feel free to add it to the comment section at the bottom of this post. I recently caught this film at the Newport Beach Film Festival. I added it to the top of the list because it's easily the best hiking films I've ever seen. Without giving too much away, the story is about two hikers from the city who run into some serious trouble on a backcountry trail. Do yourself a favor and don't read about the film on IMDB before you actually see it. This is a film about a group of WWII prisoners who escape a Russian gulag and hike several thousand miles across Siberia, the Gobi Desert and finally the Himilayas before reaching freedom in India. This is my all time favorite hiking movie. I caught this documentary at the Newport Beach Film Festival in 2013. I don't think it has been officially released, so good luck finding it. This is a documentary about several people who are hiking the ancient El Camino de Santiago trail on a pilgrimage to the the Santiago de Compostela cathedral in Spain. This is one of the most brutal films I've ever seen. It's essentially about a father and son who are trying to survive in a post-apocalyptic wasteland. They hike through abandoned towns with a shopping cart full of supplies trying to avoid marauders, rapists, thieves and cannibals. This film is almost too depressing to handle in a single sitting. From a visual standpoint, it's easily one of the best films made in the past ten years. This National Geographic Documentary is amazing and nearly impossible to find. I can't find the link to buy it from National Geographic or even rent it from Netflix. This is easily the best documentary ever made about the Pacific Crest Trail. You can download it from Pirate Bay as a torrent. This is a low budget indie film about a group of people hiking the Appalachian Trail. Its feels more like a great documentary than a film. It really makes you want to hit the trail. The only downside to this film is the horrible soundtrack. It's not really a hiking movie, but it's a must-see movie for anyone who hikes. Not to spoil it, but the movie is basically 90 minutes of James Franco stuck in a canyon. Both Lord of the Flies movies are classics. I prefer the 1990 version because I saw it in the theater when I was a kid and I feel some nostalgia for it, but most people say the older black and white film was better.